Drunken tourists, mostly from Britain and Ireland, to Spain's Balearic islands have raised security concerns over a dangerous craze known as "balconing"
The number of drunk mostly British and Irish tourists ending up in hospital in Spain's Balearic Islands after jumping from balconies has spiked this year, a surgeon who has studied the dangerous craze warned Friday. The so-called "balconing" craze, which had eased over the last two years after an awareness campaign, has now taken off again in the Mediterranean archipelago of Magaluf and Ibiza fame, said Juan Jose Segura, a surgeon at the Son Espases hospital in Palma de Majorca. "Balconing" refers to people who throw themselves from the balcony of their room into pools or to get to another balcony, most of them very drunk or perhaps high on drugs, sometimes smashing onto the ground with tragic consequences. 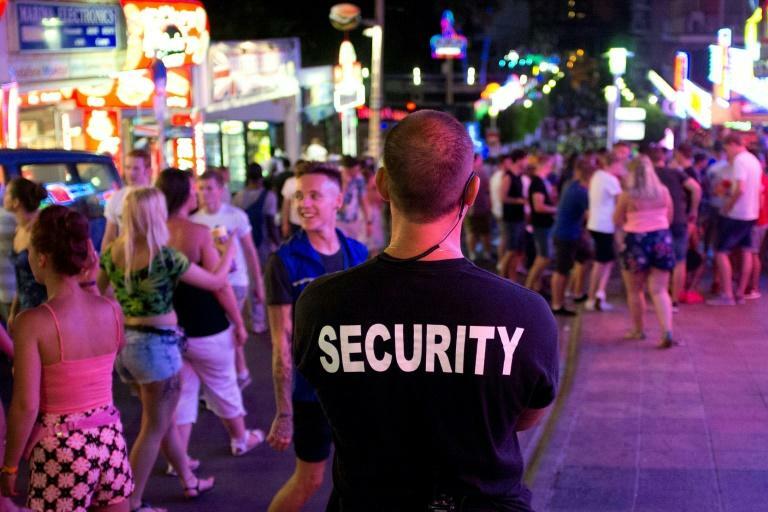 It's become a form of daring challenge during a hedonistic holiday and is particularly popular among British and Irish tourists, Segura said. While he does not have definitive figures, Segura said his trauma centre had treated at least six cases of "balconing" so far this year by British and Irish tourists and one French national. Three of them died while the rest were very seriously injured, some paralysed. It marks a significant rise from 2016 and 2017, which he said saw a total of six cases and no deaths. "It seems this year isn't going to be like the previous years but will resume the initial 2010-2015 trend that saw 10 to 15 cases every summer," said Segura who has authored a study on "balconing" trauma. His figures however only concern those treated at Son Espases hospital, meaning there were likely more such cases in the archipelago. Just this week alone, three people fell from their balconies in the Balearic Islands --- although police are still investigating the incidents and it's unlikely all of them were cases of "balconing". 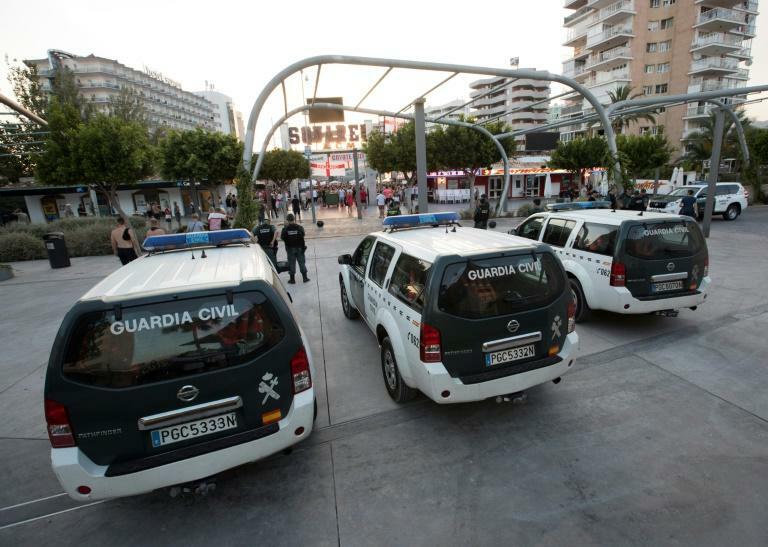 On Wednesday, a 14-year-old boy from Ireland died after falling from a balcony of a hotel in Majorca where he was staying with his mother, the Guardia Civil police said. It appears "he was playing on the balcony" and fell, a police spokesman said. The same day, a man in his early twenties fell from a balcony in his holiday resort on the island of Ibiza, and is hospitalised in serious condition. British media have identified him as Tolga Aramaz, a British Labour councillor in London. It is unclear why he fell. On Friday, emergency services said they attended to a man also in his early twenties who fell from a balcony in Es Pujols on the island of Formentera. Police and the Spanish government's office in the Balearic Islands were not able to give the total number of "balconing" cases this year. Segura, who as a surgeon sees "a lot of dramatic cases due to illnesses like cancer with older people," said injuries from "balconing" were particularly distressing. "It's really shocking to see a young person who has absolutely no problems, who was in the prime of life, who had thousands of projects ahead, a life to live, to suddenly die or be left totally incapable to do anything for themselves for the rest of their life." In his 2010-2015 study, Segura found that his hospital alone treated 46 patients for "balconing" trauma, with over 60 percent of them British followed by Germans and then Spaniards. Only one case involved a woman, all the others were men, aged 24 on average. The fall from the balcony was from an average height of eight metres (26 feet). Segura said he had taken part in awareness campaigns in Britain, cooperating with the British embassy in Spain. Authorities in the Balearic Islands are also trying to rein in the problem. "Hotel managers distribute pamphlets, they warn people," Segura said, adding they also put young people they think may balcony-jump on lower floors. He said he had taken part in a meeting with officials from Calvia municipality, which includes Magaluf, infamous for its booze-fuelled tourism. "The city hall is fining all those who try to jump from one balcony to another, it's banned pub crawling tours and is banning the sale of alcohol in shops at night time." Segura also pointed out that "balconing" wasn't the only craze among drunk tourists, who also dare themselves to cross highways or other dangerous activities. "There are many accidents linked to this wild alcohol consumption."